The recognizable ANSI.Z535.5 format and graphics on these Tags improve hazard communication for all employees. Safety Tags measure 3"W X 5-3/4"H and are printed on one side. The 15-mil polyester material lets you write your own detailed safety information right on the tag. Tags are sold in groups of 5 identical tags per package. Free nylon ties are also included. Warning tags help control access to certain areas of your facility by defining who is and is not authorized to enter. Non-potable water tags identify water that is not to be used for drinking, washing or cooking. ANSI Z535 Tags comply with standards for safety signs and colors. ANSI Tags depict and explain the unique properties that can alert people to hazards in the workplace and at home. Each standard within this series has distinctive properties. 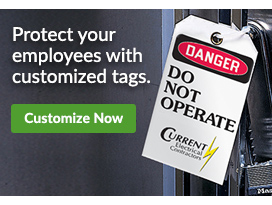 Seton carries ANSI Z535 Tags, including ANSI Z535 Safety Tags- Warning with Graphic, Danger with High Voltage and others.